This book collects and expands on Mac Donald’s groundbreaking and controversial reporting on the Ferguson effect and the criminal-justice system. It deconstructs the central narrative of the Black Lives Matter movement: that racist cops are the greatest threat to young black males. On the contrary, it is criminals and gangbangers who are responsible for the high black homicide death rate. Heather Mac Donald is the Thomas W. Smith Fellow at the Manhattan Institute and a contributing editor of City Journal. A non-practicing lawyer, Mac Donald has clerked for the Honorable Stephen Reinhardt, U.S. Court of Appeals for the Ninth Circuit, has been an attorney-adviser in the Office of the General Counsel of the U.S. Environmental Protection Agency, and a volunteer with the Natural Resources Defense Council in New York City. As the most anti-law-enforcement administration in memory draws to a close, crime is shooting up in cities across the United States. The crime surge was especially troubling in that it reversed a two-decade-long decline, during which American cities vanquished a 1960s-era notion that had made urban life miserable for so many. Breaking the law, the thinking went, was but a symptom of social failure and governmental neglect, or even an understandable expression of protest. Until poverty and racism were eliminated, routine behaviors such as walking down a street, strolling through a park, or operating a store would necessarily remain fraught with fear and the possibility of violence. Under the influence of this “root causes” conceit, acres of city space were ceded to thieves and thugs, to hustlers and graffiti “artists.” Disorder and decay became the urban norm. A combination of forces eventually reversed this state of affairs. Starting in the late 1970s, legislators demanded that convicted criminals serve more of their sentences; habitual felons were finally locked up for lengthy prison stays. And police leaders challenged the “root causes” concept with a countervailing idea: the police could actually prevent crime and, in so doing, would make civilized urban life possible again. This sea change in policing philosophy originated in New York in 1994 under Mayor Rudolph Giuliani, a former U.S. attorney who had campaigned on the promise to free the city from its growing squalor and anarchy. Giuliani’s first police commissioner, William J. Bratton, was a champion of Broken Windows policing, which holds that allowing a neighborhood to become overrun by graffiti, litter, public drunkenness, and other forms of disorder breeds more crime by signaling that social control in the area has collapsed. Bratton had already shown the effectiveness of Broken Windows enforcement in New York’s subways as transit police chief in the early 1990s; now he would have an entire city upon which to test the concept. Bratton’s deputy commissioners began rigorously analyzing crime data on a daily basis and ruthlessly holding precinct commanders accountable for the safety of their precincts. And they asked officers to stop and question individuals engaged in suspicious behavior—whether hanging out on a known drug corner at 1 am or casing a jewelry store on a commercial strip plagued by burglaries. Crime in New York City dropped 12 percent in Bratton’s first year in office and 16 percent the next year, while crime rates in the rest of the country were virtually flat. The New York crime rout became national news, spurring other police departments to adopt similar data-intensive, proactive tactics. Over the next two decades, crime would fall 50 percent nationwide, revitalizing cities across the country. The biggest beneficiaries of that crime decline were the law-abiding residents of minority neighborhoods. Senior citizens could go out to shop without fear of getting mugged. Businesses moved in to formerly desolate areas. Children no longer had to sleep in bathtubs to avoid getting hit by stray bullets. And tens of thousands of individuals were spared premature death by homicide. Now, that triumph over chaos and lawlessness is in jeopardy. Fueling the rise in crime in places like Baltimore and Milwaukee is a multipronged attack on law enforcement. Since late summer 2014, a protest movement known as Black Lives Matter has convulsed the nation. Triggered by a series of highly publicized deaths of black males at the hands of the police, the Black Lives Matter movement holds that police officers are the greatest threat facing young black men today. That belief has spawned riots, “die-ins,” and the assassination of police officers. The movement’s targets include Broken Windows policing and the practice of stopping and questioning suspicious individuals, both of which are said to harass blacks. At the same time, a long-standing academic discourse about “mass incarceration” went mainstream. According to this theory, the American penal system practices “systematic imprisonment of whole groups.” The nation’s prison rate is allegedly a product of discrimination, and drug laws are purportedly a means of re-enslaving black Americans. President Obama repeatedly charged that the criminal-justice system treats blacks differently from whites. In New York City, a trilogy of lawsuits challenged the NYPD’s stop, question, and frisk tactics as racist; a federal judge ruled in favor of the plaintiffs by ignoring the incidence of crime in minority neighborhoods. A previously obscure politician, Bill de Blasio, ascended to City Hall two decades after Mayor Giuliani by campaigning against the NYPD and pledging to drop the city’s appeal of the stop, question, and frisk decision. As 2015 progressed, few law-enforcement practices escaped attack for allegedly imposing unjust burdens on blacks. But it was the virulent anti-cop rhetoric that was most consequential. Officers working in inner cities routinely found themselves surrounded by hostile, jeering crowds when they tried to make an arrest or conduct an investigation. Cops feared becoming the latest YouTube pariah when a viral cell-phone video showed them using force against a suspect who had been resisting arrest. In response, the police began to disengage from proactive policing. Rather than getting out of their squad cars to question an individual who appeared to be hiding a gun, officers increasingly just drove on by, waiting for the next robbery or shooting to come over the police radio. Criminal summons and misdemeanor arrests for public-order offenses plummeted. If the Black Lives Matter movement were correct, this falloff in discretionary policing should have been a boon to black lives. Instead, a bloodbath ensued, and its victims were virtually all black. When the cops back off, blacks pay the greatest price. That truth would have come as no surprise to the legions of inner-city residents who fervently support the police and whose voices are almost never heard in the media. The Black Lives Matter narrative about racist law enforcement occurred in a vacuum; carefully excluded was any acknowledgment of inner-city crime and social breakdown. It was as if officers arbitrarily deployed more heavily in certain neighborhoods out of a sheer desire to oppress. In reality, the police were in those areas because—despite the record-breaking crime drop of the 1990s and 2000s—a culture of drive-by shootings and gang warfare persisted, largely due to the breakdown of the black family. That reality was assiduously kept offstage, leaving the focus exclusively on the alleged bias of the police. This book challenges the premises of the growing crusade against law enforcement. In Part One, I rebut the founding myths of the Black Lives Matter movement—including the lie that a pacific Michael Brown was gunned down in cold blood by Officer Darren Wilson in Ferguson, Missouri, in August 2014. I document the hotly contested “Ferguson effect,” a trend that I first spotted nationally, wherein officers desist from discretionary policing and criminals thus become emboldened. In Part Two, I outline the development of the misguided legal push to force the NYPD to give up its stop, question, and frisk tactic. In Part Three, I analyze criminogenic environments in Chicago and Philadelphia and put to rest the excuse that crime—black crime especially—is the result of poverty and inequality. Finally, in Part Four, I expose the deceptions of the mass-incarceration conceit and show that the disproportionate representation of blacks in prison is actually the result of violence, not racism. However much the recent crime increase threatens the vitality of America’s cities—and thousands of lives—it is not, in itself, the greatest danger in today’s war on cops. The greatest danger lies, rather, in the delegitimation of law and order itself. Riots are returning to the urban landscape. Police officers are regularly pelted with bricks and water bottles during the course of their duties. Black criminals who have been told that the police are racist are more likely to resist arrest, requiring the arresting officer to use force and risk an even more violent encounter. If the present lies about law enforcement continue, civilized urban life may once again break down. This explosive new book challenges many of the long-prevailing assumptions about blacks, about Jews, about Germans, about slavery, and about education. Racial preference policies first came on the national scene as a response to black poverty and alienation in America as dramatically revealed in the destructive urban riots of the late 1960s. It has been called the most dangerous gang in American history. In Los Angeles alone it is responsible for over 100 homicides per year. Although it has fewer than 300 members, it controls a 40,000-strong street army that is eager to advance its agenda. 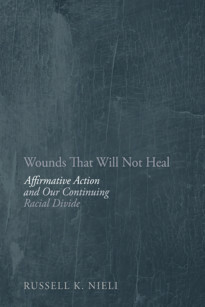 Reckoning with Race confronts America’s most intractable problem – race. 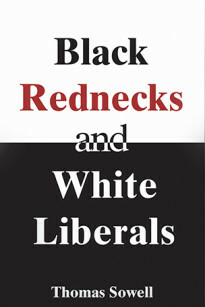 The book outlines in a provocative, novel manner American racial issues from the beginning of the nineteenth century to the present. It explodes myths about the South as America’s exclusive racial scapegoat. The book moves to the Great Migration north and the urban ghettos which still plague America. 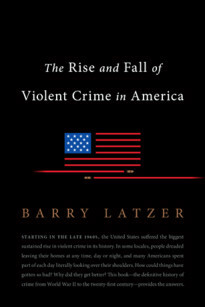 Starting in the late 1960s, the United States suffered the biggest rise in violent crime in its history. Aside from the movement for black civil rights, it is difficult to think of a phenomenon that had a more profound effect on American life in the last third of the 20th century.